New Delhi-based intra-city bike and car-pooling startup Pooltoo, headed by three women entrepreneurs, have raised an undisclosed amount in seed funding from Devika Ganesh, a high-net-worth individual. Pooltoo is investing a majority of the fresh funds to strengthen its tech infrastructure and build its operations and marketing, a company executive told TechCircle. Owned and operated by Rydekart Technology Pvt. 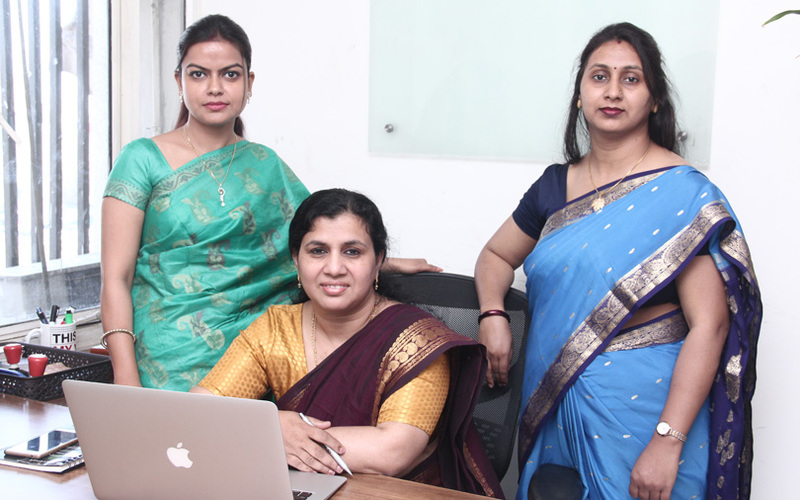 Ltd, Pooltoo was founded by Aradhana Jha, Nancy Martin and Sarita Mishra in November 2017. Users can register themselves on the Pooltoo platform with their mobile number and social media profile, search for rides on their daily routes, and request for rides. Likewise, users can offer rides by entering their vehicle details, source and destination of their daily/frequent trips. The service is available on a prepaid mode. Once a user’s request for a ride is accepted by the driving partner, the user needs to pay the ride contribution cost in advance. Based on the payment, the platform creates a unique PIN which is supposed to be shared with the driving partner before starting the trip. When the driving partners enter the PIN, the system automatically identifies that the trip has started and at the end of the trip, the driving partner is paid accordingly. Pooltoo currently has more than 25,000 registered users and 5,000 vehicle owners on the platform. The company claims to complete about 300 rides daily. The company’s bike pooling service was launched only last month. “We are working towards easing the way people are commuting today in terms of affordability, reach and security. Internet of cars and shared economy is the future and we are preparing for it,” Martin said. Launched in Delhi-NCR initially, the service has since expanded to nine more cities such as Chennai, Hyderabad, Bangalore, Mumbai, Pune, Indore, Thiruvananthapuram, Kochi, and Coimbatore. The startup also plans to launch weekend drives and inter-city carpooling shortly. In the intra-city carpooling segment, PoolToo competes with home-grown startups such as SRide, Orahi, Quick Ride, W’heal Our World (WOW), AYA Carpool, besides German carpooling firm Wunder, which launched its services in India last year. Orahi, which raised $520,000 in funding from the Indian Angel Network, had acquired Odd-Even.com, a ride-sharing website started by 13-year-old Akshat Mittal, for an undisclosed amount in April 2016. In 2015, Meru and Ibibo had ventured into the carpooling business. Meru’s 'CarPool' service allowed private car owners to share rides with others and was integrated with Meru's mobile app, while ibibo’s app, christened Ryde, offered both intra and inter-city rides. Both the offerings failed to take off. In the same year, WestBridge Capital-backed Carzonrent, which runs radio cab services besides offering self-drive car rental and fleet management services, acquired Bangalore-based ride sharing app RidingO. However, the service was later discontinued. Besides, these specialised carpooling startups, Uber and Ola’s UberPOOl and Ola Share, respectively, are hugely popular in India. In the inter-city carpooling segment, French carpooling company BlaBlaCar has a strong presence in India.